10:48 | Paita (Piura region), Nov. 3. 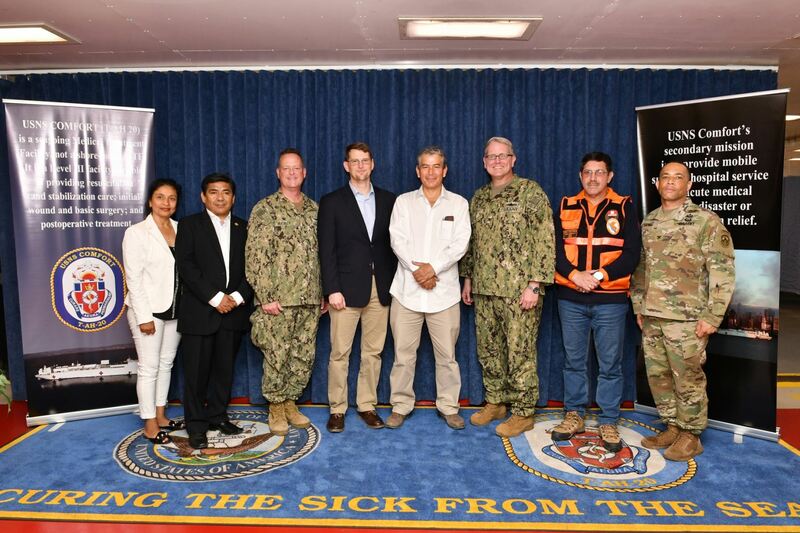 A team comprised of more than 900 personnel, embarked aboard the hospital ship USNS Comfort (T-AH 20), commenced their second mission stop, in Paita, Peru, as part of US Southern Command’s Enduring Promise initiative. "This first day has been incredibly busy with setting up the site, unpacking equipment and conducting pre-surgical screenings, which were organized by the Ministry of Health," said Lt. Cdr. Peter McIntyre, officer-in-charge of the San Alfonso Medical Site. 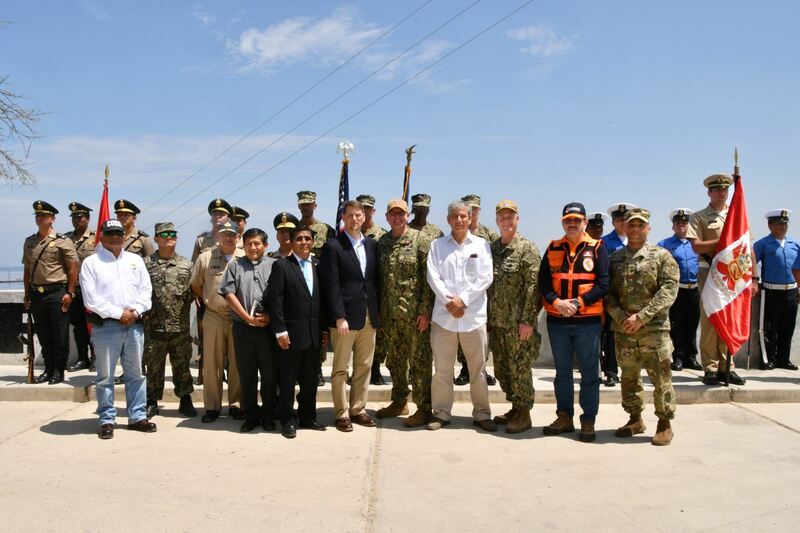 "Our partners, the Peruvian police, have been stellar in assisting with patient coordination at the site, and we have been working alongside Peruvian contractors to get both sites prepared for medical care later this week," he added. Medical personnel, including military, non-governmental organization volunteers and members from partner nations, began screening surgical patients on October 30. Furthermore, the two medical sites started full operations on November 1 and will continue seeing patients for five days. "We have an incredibly robust team with a wide ranging portfolio of medical service offerings," said Capt. Kevin Buckley, commanding officer, Medical Treatment Facility aboard Comfort. "While Comfort is here in Paita this week, medical units will provide preventative medicine treatments, optometry, dermatology, women's health, adult medicine, pediatrics, and dental and surgical screenings to thousands of patients. Our medical team is organized, ready and always eager to help others in need," Buckley said. It should be noted this is the sixth time that Comfort has deployed to the region. 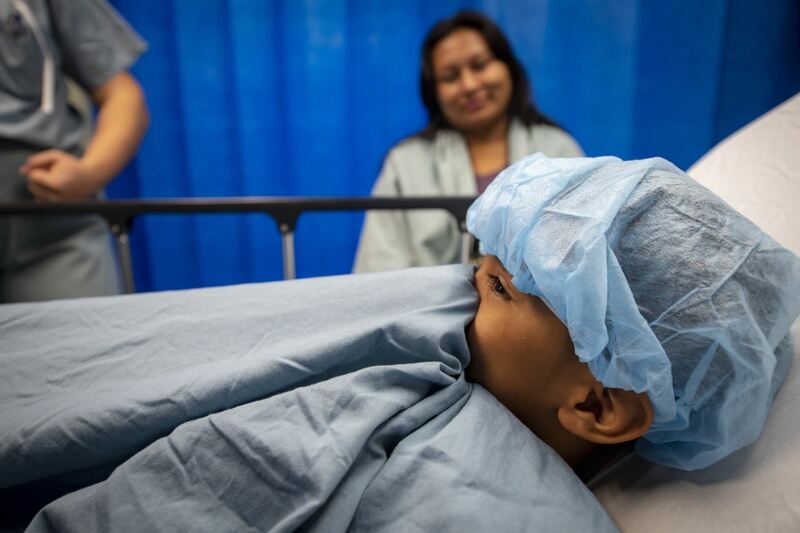 Past missions have provided medical treatment to more than 390,000 patients, including 6,000 surgeries. "Medical missions are inherently complex by nature," said Capt. William Shafley, commander, Task Force 49. "We have a longstanding partnership with the Peruvian government that I am confident will facilitate a smooth and safe mission execution over the coming week," he indicated. As is known, Comfort is on an 11-week medical support mission to Central and South America as part of US Southern Command’s Enduring Promise initiative. Working with health and government partners in Ecuador, Peru, Colombia, and Honduras, the embarked medical team will provide care on board and at land-based medical sites, helping to relieve pressure on national medical systems caused partly by an increase in cross-border migrants. The deployment reflects the United States’ enduring promise of friendship, partnership, and solidarity with the Americas. Editor's note: Based on information provided by the US Southern Command.